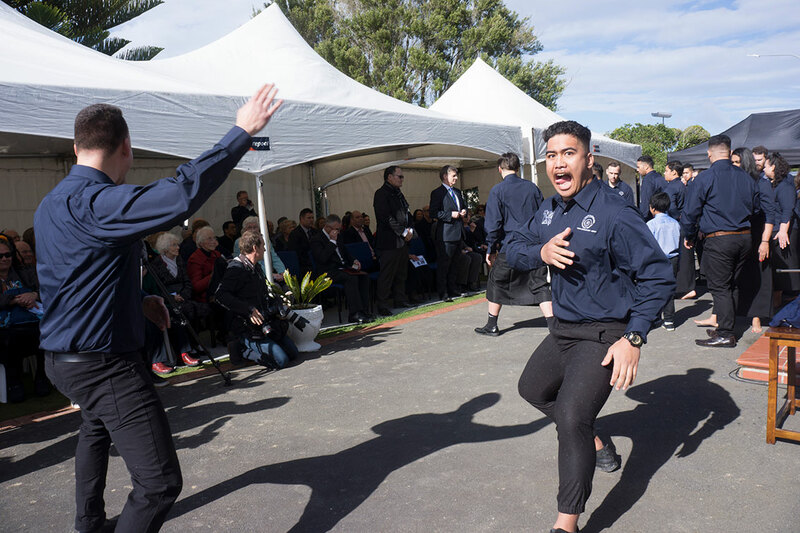 Four hundred guests attended the opening of Challenge Marist House at 1 Wanaka Street, Johnsonville, on Saturday 12 August. 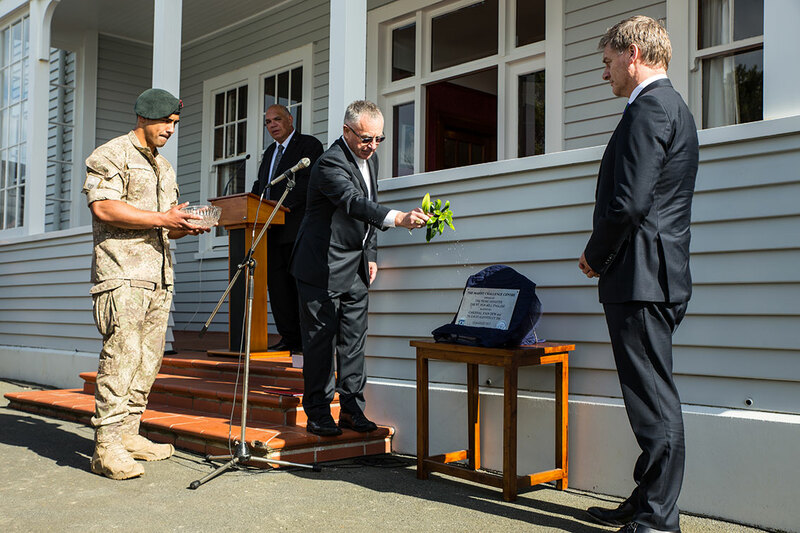 After Kaumātua Luke Crawford’s mihi, Cardinal John Dew blessed the new premises. 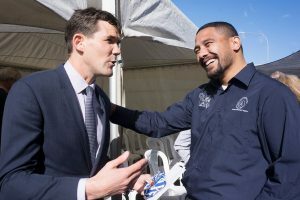 Speakers included Fr David Kennerley sm, Prime Minister Bill English, local MP Hon Peter Dunne and Wellington’s Mayor Justin Lester. 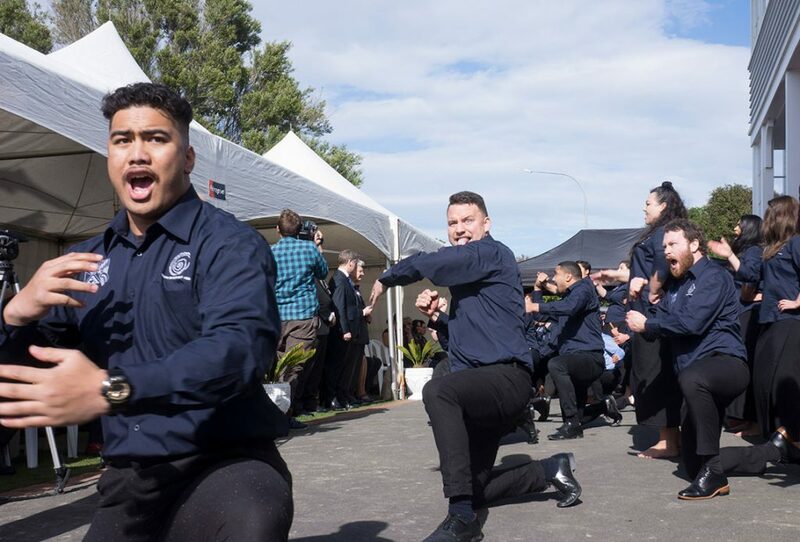 Challenge 2000 rangatahi performed a haka written by Te Po Hohua. 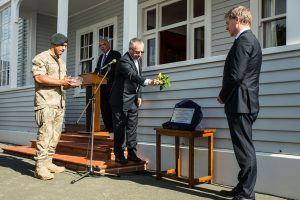 Guests included clergy, religious, the NZ Army, teachers, students, friends and whānau, many of whom have contributed to Challenge 2000 over the past 30 years. 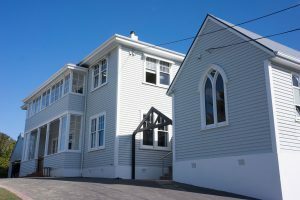 Earlier this year, the Society of Mary purchased the large property at 1 Wanaka St, Johnsonville, for use as a base and outreach centre for Challenge 2000. 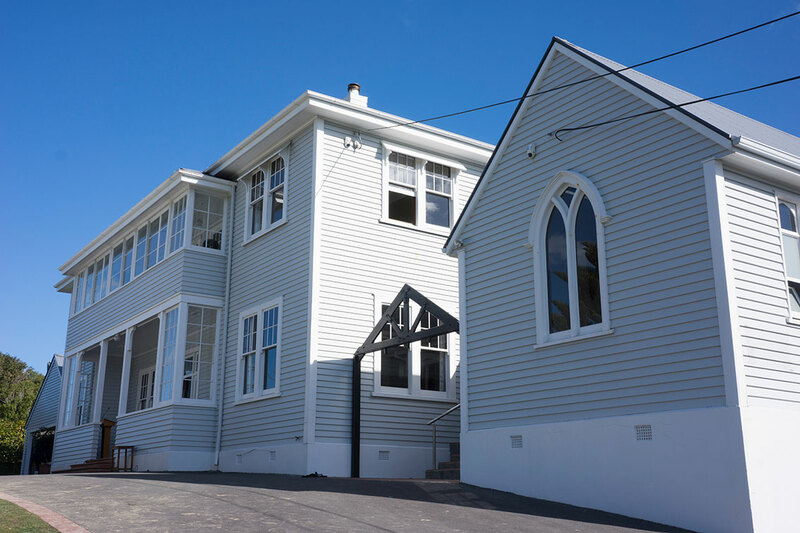 The house on a hill overlooking Johnsonville was once a Brigidine convent. This ‘dream come true’ for Challenge 2000 now houses its youth services, community development and leadership programmes under one roof. 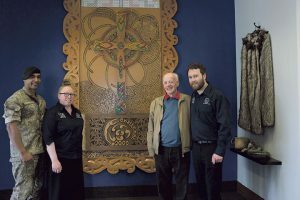 Annette Scullion reports. 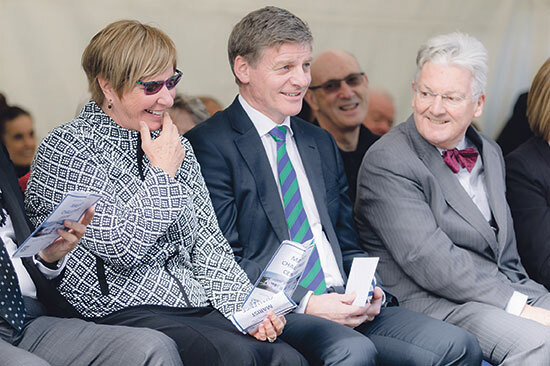 On Saturday 12 August, 400 guests came from as far away as Dunedin and Whangarei to commemorate the many different contributions to the work of the family and community of Challenge 2000 since it was founded 30 years ago. 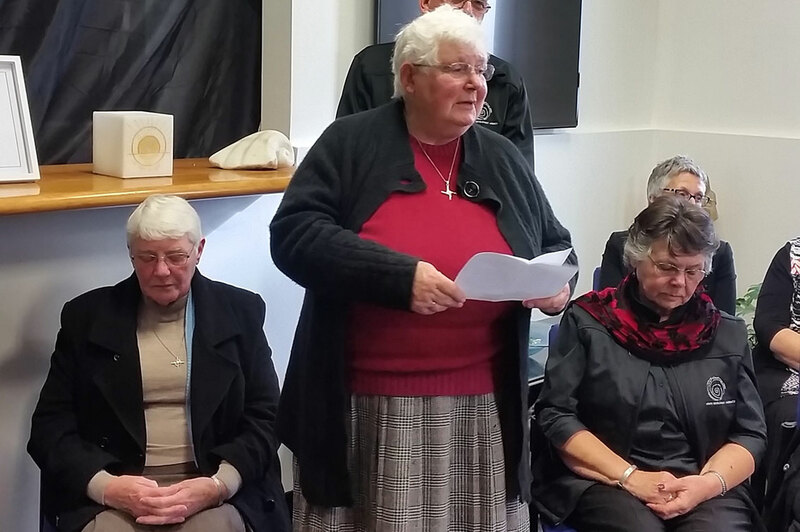 They came to celebrate Challenge’s success and growth, the new premises and the next stage in its journey. 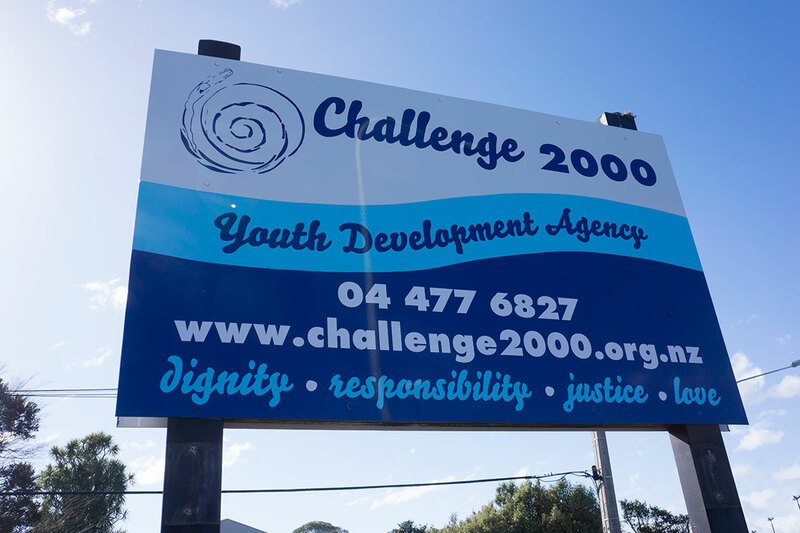 Challenge 2000 was founded by Kitty McKinley in 1988 as a ‘local youth initiative to support young people to develop and achieve their potential and for older people to serve and thrive’. 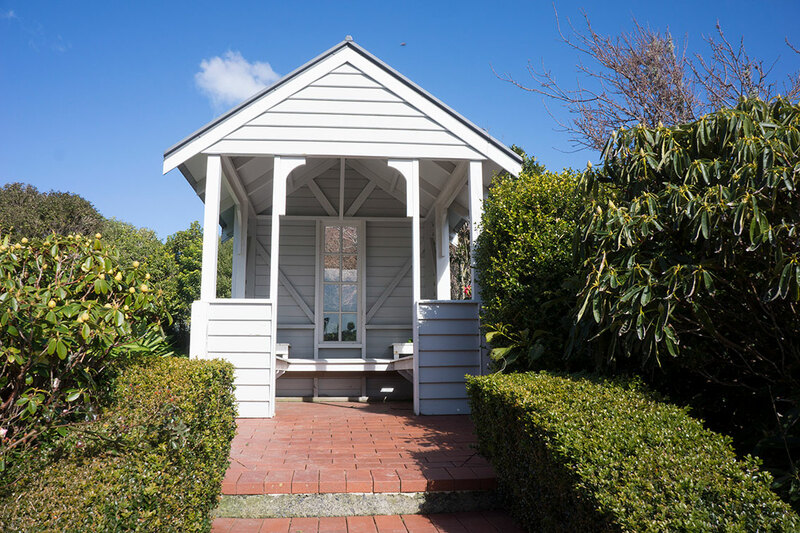 Today the faith-based social-work agency works throughout the Wellington region. 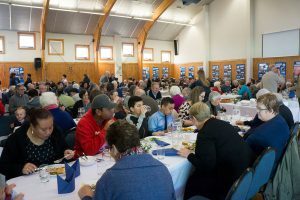 Challenge 2000 works with a cross section of society. 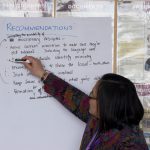 It provides services, programmes and support to children, young people, families and community groups, service opportunities for school leavers and graduates, and leadership development for qualified and successful young people. Fr David Kennerley sm, the Provincial of the Society of Mary (Marist), said the underlying ethos of Marist Challenge House is people. 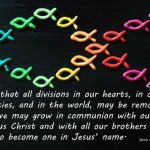 He described it as a visible sign of what the Marist name means. 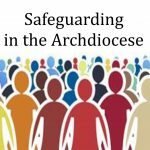 Fr Kennerley reflected on Luke 4:18, Challenge 2000’s foundational mandate. The Prime Minister Bill English congratulated the Society of Mary for purchasing the building on behalf of Challenge, saying that the building shows respect to young people. 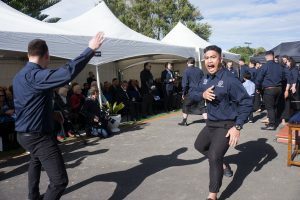 The haka was performed by young, Māori, Pākehā, Pasifika, Asian, children, youth and adults. 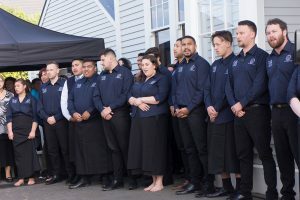 Students, Challenge staff, young professionals, volunteers and youth supported by Challenge practised for months and did Challenge proud. 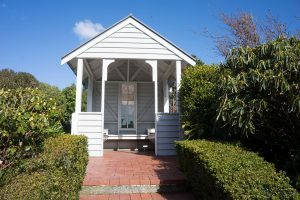 Challenge 2000, 1 Wanaka St, Johnsonville. 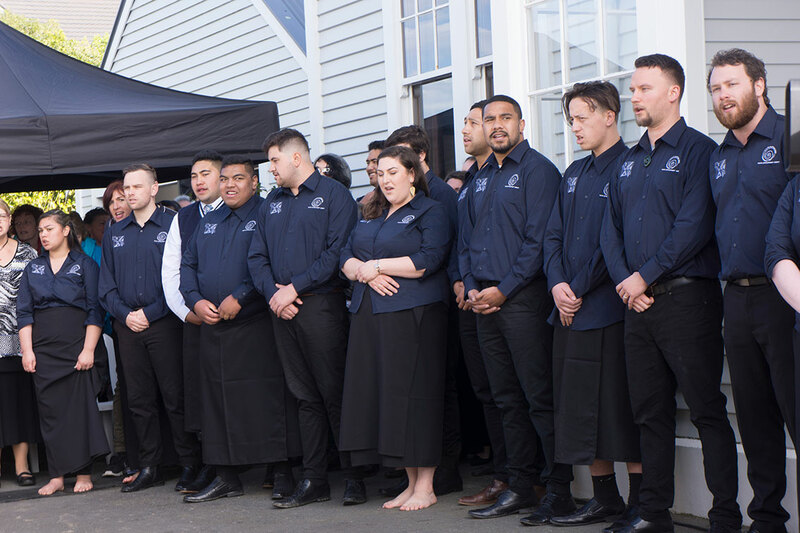 Challenge staff and whānau singing national anthem. Wellington’s Mayor Justin Lester with Challenge volunteer Tovio Apolo. From left, Private Andrew Solomona, Bernadette Faifua, Jim Davis and Heath Hutton in front of Jim’s carving dedicated to Challenge 2000. 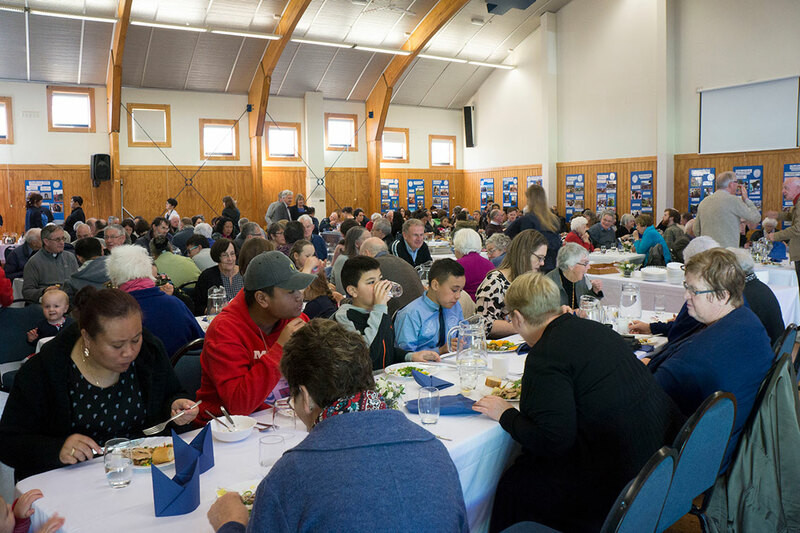 Celebratory lunch at Johnsonville Community Centre.